Adopting a unique diet might play a critical role in abating a biological phenomenon known to stimulate the aging process. This article will look at the metabolic occurrence known as oxidative stress, the impact the process has on the human body and how the activity precipitates aging. In addition, the article will study the topic of chrononutrition, the components of a chrono diet, how adhering to such a nutritional plan might help both men and women live healthier lives and perhaps slow down the natural progression of growing older. Oxidative stress is caused by substances called free radicals. Free radicals are unstable particles created during cell metabolism. When these harmful particles form, they can damage various cell components, including the DNA. This cellular destruction can eventually lead to the development of many potentially dangerous and life-threatening illnesses such as cancer. 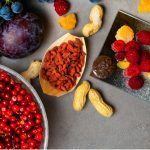 In addition to being produced at the cellular level, free radicals are formed when the body synthesizes chemicals and allergens it is exposed to from external sources. The process of oxidative stress happens when these free radicals multiply and garner enough strength to precipitate enough damage to the body’s cells, tissues and organs. How Does Oxidative Stress Promote Aging? Many scientists believe age progression is not merely about the amount of time one has lived or the natural process by which the body changes over time. 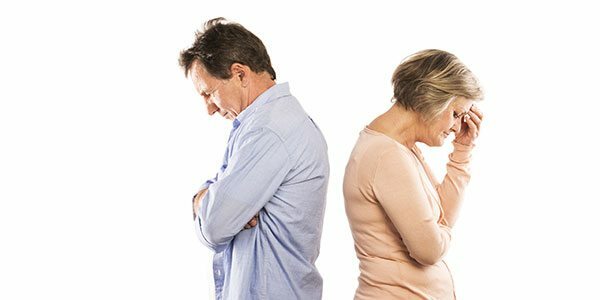 These voices in the medical community suggest “growing older” is greatly and often adversely impacted by external stresses and poor lifestyle choices people are exposed to and make. This theory supports the view that a process such as oxidative stress can contribute to a body breaking down at a faster rate and being infiltrated by disease at a younger age. One lifestyle alteration both nutritionists and medical professionals believe might reduce or possibly even eliminate the occurrence of oxidative stress is diet. Chrononutrition places significant emphasis on when one eats. This unique science was founded by French physician Alain Delabos, who opined that people can lose weight and maintain a healthy diet by regulating their system’s ability to synthesize important nutrients like fats and carbohydrates. This control occurs by eating specific foods at the specific times of day when metabolism-impacting hormones like insulin and cortisol are most abundant in the body. What Would a Typical Chrono Diet Consist Of? 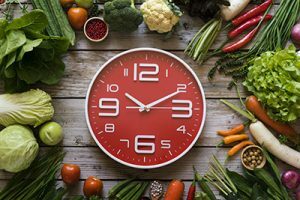 The chrono diet requires adherents to eat three square meals per day (breakfast, lunch and dinner) spaced out as follows: five hours between breakfast and lunch (no snacks), five hours between lunch and dinner (no snacks) and 12 hours between dinner and the following morning’s breakfast. Dietary requirements are not strict in terms of specific foods, but does place restrictions on the specific food groups to be eaten at each meal. Chrono dieters are expected to consume some form of carbohydrates at breakfast time. At lunch, adherents may eat a mixture of protein and carbohydrates. For dinner, foods containing protein should be consumed. How Does the Chrono Diet Help Fight Oxidative Stress? As people age, their ability to resist the damage caused by oxidative stress diminishes, leaving them more susceptible to developing illnesses. The chrono diet provides the body an added form of protection against the process.